In this second part of a three part series, the author looks at examples of how potential catastrophes have been avoided or reversed by employing a comprehensive policy audit. He then focuses on what is needed to make a policy audit dispute defensible. 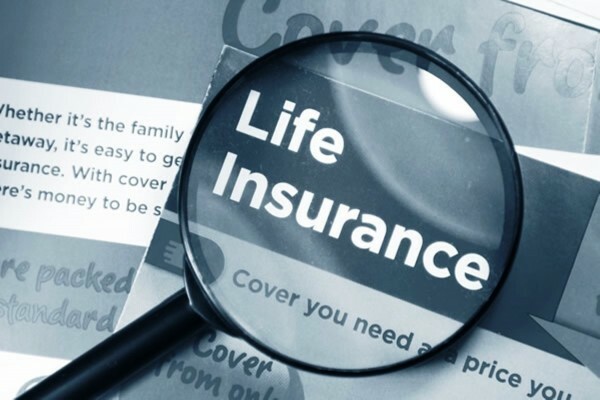 Part 1 of this series, published June 10, 2015, referenced a process for auditing life insurance policies that has helped provide successful outcomes for policy owners throughout the country for the last twenty-four years. It defined a successful outcome as a death benefit paid at the insured’s death, having required no more premiums than anticipated, and having an IRR (internal rate of return) as good as or better than other options in the marketplace. It then provided examples of some of the numerous ways in which life insurance policy experiences fall far short of expectations. Part 2, looks at examples of how potential catastrophes have been avoided or reversed by employing a comprehensive policy audit. It then focuses on what is needed to make a policy audit dispute defensible. Some clients are quite conscientious about paying premiums. So much so, that they often pay premiums before the carrier has generated the premium notice. Who would think that such a prudent bill paying process could wreak havoc? Many Guaranteed Universal Life contracts issued prior to 2012 include premium accounting clauses that could trigger a significant loss of guarantees if premiums are paid before the due date, particularly in the early years of the contract. One client had a $20 million policy through a major carrier. The original, carrier generated, illustration showed that this policy required ten annual payments to guarantee the coverage through age 115. When we audited this policy in the tenth (and last) year, we discovered that although the client had made all of the payments on time, the guarantee had been reduced to age 96. Our audit process includes obtaining a premium history and here we found the culprit. The second premium had been paid early, potentially costing this client 19 years of guaranteed coverage. We worked with the carrier and were able to have the year two payment reapplied correctly. This restored the lost 19 years of guaranteed benefits. We recently audited a Whole Life policy for a client planning to use the cash value for retirement income. His insurance agent recommended exchanging his Whole Life contract for a new Indexed Universal Life policy. As they say, the devil is in the details, and the detail in this case was the policy’s tax basis. Neither the client, who was fairly sophisticated regarding taxes, nor the agent had inquired about the tax basis. For our audit process however, this is Standard Operating Procedure (SOP). All involved had assumed the contract could be exchanged tax free–a common misconception. This exchange would have actually resulted in the new policy being deemed a MEC (Modified Endowment Contract). The future income generated by the current cash value of close to $1million would have been taxable as ordinary income. After the audit, the client retained his Whole Life contract, avoiding a serious mistake. A young surgeon purchased a policy in 2010 to help replace his income for his family in the event of his death. The policy was originally projected to require ten payments before the dividends (theoretically) would offset future premium payments. Our audit surprised this doctor however. After five years of payments, there were still ten more payments projected, due to dividend reductions. Five remaining payments became ten; a 100 percent increase. And, no guarantee that additional payments won’t be required. Our suitability review also revealed a surprise, showing that the policy was not owned by the irrevocable trust the doctor’s attorney drafted, and as such would be reduced by estate taxes before the remainder could be used to support his children. This policy was replaced with one owned by the doctor’s trust that has a death benefit 25 percent greater than the previous policy and is guaranteed for life with the same ten payments. Due to excessive cost, a business owner client had half the coverage his buy/sell agreement required. Examining his medical history, our audit team could see no reason why carriers were treating him adversely. Upon further review of his medical records it was learned that he had a heart condition, and no recent testing to prove the condition was stable. We recommended that he return to his doctor to have additional testing done, which resulted in proving the condition to be benign. With this new data we were able to double his coverage while reducing his costs by 10 percent. Recently, there have been a number of lawsuits against trustees of ILITs(Irrevocable Life Insurance Trusts). Hold harmless clauses of trusts and liability limits legislated by states to protect trustees are being challenged. Most trustees have accepted their role to help a friend or family member (the trust grantor). Typically, the only responsibilities discussed with non-professional trustees are those of managing assets for the beneficiaries, after the death of the grantor. Rarely are lifetime policy management responsibilities explained by the grantor or the drafting attorney. This isn’t surprising, given that even professional trustees admit to falling short on their responsibilities (see Part 1). So how does a trustee protect against an unanticipated suit by beneficiaries? Private trustees in most states are required to follow the guidelines of the Uniform Prudent Investor Act (UPIA). Corporate trustees must follow the Office of the Comptroller of the Currency (OCC) Handbook on Unique and Hard to Value Assets (“OCC’s Handbook”). Monitor performance of trust assets. Manage assets to minimize costs and maximize benefits. Suitability of the insurance policy. Performance review—Establishes sufficiency of premiums for desired objective. Suitability review—Assures policies are appropriate to meet objectives for beneficiaries. 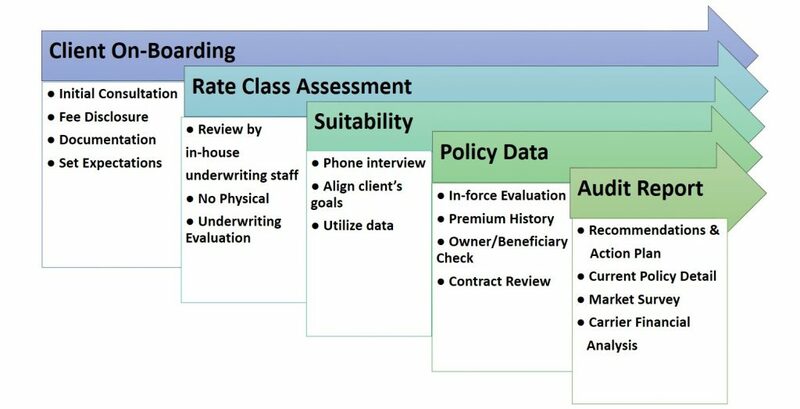 Underwriting-based market survey—Provides cost and benefit comparative analysis based on client medical and financial underwriting assessment. Also provides benchmarking of returns versus alternative investment opportunities. Carrier financial review—Ratings and data from reactive and proactive rating services for the in force carrier and those utilized in the comparative analysis. Policy audits can help to assure a successful policy outcome by proactively monitoring both the contract status and the owner’s goals and objectives. It can help to avoid disputes with beneficiaries. It can also provide the foundation for a strong defense if a dispute does occur. It will not, however, provide these benefits if it is not comprehensive and carefully crafted. Part 3 of this series takes a deep dive into the components of a comprehensive policy audit and how it helps to meet the needs of those funding the premiums, their beneficiaries and those charged with the responsibility of the ongoing management of the process.